Xiao-Guang Yue received PhD in Engineering from Wuhan University of Technology, Wuhan. He is the Special Appointed Professor and College Consultant of Rattanakosin International College of Creative Entrepreneurship, Rajamangala University of Technology Rattanakosin, Thailand; and Visiting Research Fellow of Higher Inclusive Education Resource Center of Wuhan University of Technology, Wuhan; Visiting Research Fellow of College of Mechanical and Control Engineering of Guilin University of Technology, Guilin; and Manager (Consultant) of Zibeline International Publishing and Volkson Press, Kuala Lumpur, Malaysia. He is Co-Founder of International Engineering and Technology Institute (IETI) and International Research Institute for Economics and Management (IRIEM) and Institute of Data Science and Artificial Intelligence (IDSAI) and International Association for Decision Sciences and Business (IADSB). He is an elected IETI Foundation Fellow, ACM Member, ACM-W Member, IEEE Member, IDSAI Member, IRIEM Member, IADSB Member. His research interests include Computer Applications, Intelligent Information Processing, Management Engineering, Safety Engineering. He has published over 100 articles in SSCI AHCI SCI EI SCOPUS ESCI CPCI conferences and journals and books (chapters) and so on. He is the Editor-in-Chief of Topics in Economics, Business and Management, Editor-in-Chief of Malaysian E Commerce Journal, Managing Editor of Information Management and Computer Science, Managing Editor of Journal of Mechanical Engineering Research and Developments (Scopus), as well as the Guest Editor / Editorial Board Member / Reviewer for more than 30 high quality international journals (SSCI, SCI, ESCI, EI, Scopus). 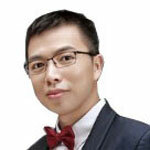 He has served for Committee Member / Proceedings Editor (Publication Chair) for more than 50 international conferences. He gave talks for Conference/Workshop/Forum/Symposium in Japan, Taiwan, Hong Kong, Malaysia, Thailand, Indonesia, Mainland China and Romania, and also delivered speech for Institutions in Japan (Kobe University), Mainland China (Peking University, Huazhong University of Science and Technology, Huazhong Agricultural University, Wuhan University of Technology, Guilin University of Technology, Jilin Institute of Chemical Technology, Wenzhou Business College, Wuhan Business University, Nanning 44 High School) and Romania (Romanian Academy). August 30 2012, 3rd Prize of the 4th Liang Xi Youth Thesis Award, by Chinese Society of Forestry.